Both wrestlers and boxers are matched up to their competitors based on weight. Athletes who participate in these sports are constantly weighing themselves to make sure their weight is appropriate for the class in which they fight. Keeping track of human weight is a pretty simple task. Fighters simply hop on a scale for a few seconds each day and the data is recorded. Imagine this same weight tracking scenario for livestock. How do pig producers navigate the costs and logistics of weighing these animals on a daily basis while collecting accurate data? How do they maintain their animal’s weight so they are fit for the market? Meat packers demand that the production and delivery of market animals must meet strict standards. When pigs do not fall within the weight requirement, it results in significant deductions from market prices, costing producers money. Osborne developed the Weight Watcher growth management system to reduce the variation among finishing animals. With this powerful tool, producers can successfully predict time-to-market and send more uniform loads to their packers. Historically, pig producers selected animals for market by simple visual inspection. This method is not accurate or consistent for modern markets, so producers now use single farm animal scales for more accurate readings. Using scales to weigh market animals is ideal, but weighing one animal at a time requires substantial labor and time. The use of a single pig scale is simply too slow to be cost effective. However, with the use of an automated scale, producers can benefit from significant savings in labor and time. Osborne pioneered the automated pig sorting scale and the key to the Osborne Weight Watcher System is the ACCU-ARM Survey Scale: a pig scale that automatically weighs animals over the course of a group’s finishing cycle. In the Weight Watcher System, the Survey Scale is placed between water and feeding pens in a group of 500-600 animals. The water and feed are separated, making it necessary for the pigs to cross over the scale as they naturally move between pens. The Weight Watcher system uses this movement to automatically divide the pigs as they move across the pig scale, using a sorting gate set at a preset percentile weight for the group. The percentile weight is determined from all the weights recorded by the Survey Scale. From this data, the median weight of the pen is derived, and the pigs can be sorted into their appropriate feeding group. The heavy half of pigs are directed into a heavyweight feeding pen where they can receive a feed that maximizes return-on-gain. 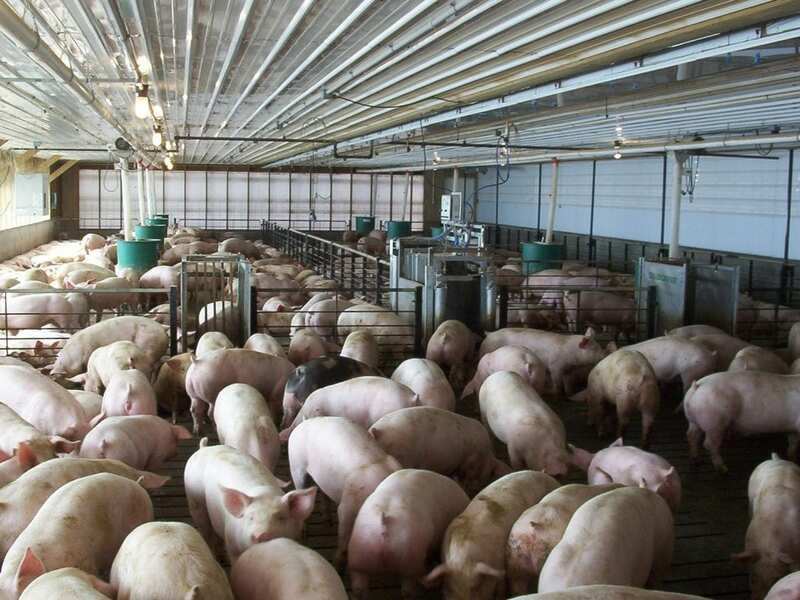 The light half of pigs are directed to a lightweight feeding barn where they can receive a high-performance feed and finish fast. The Weight Watcher system helps pig producers to feed the pen to reach market quicker and at the exact weight the packer demands.